My mistake regarding Ahsoka. It wasn't her that I picked up. It was Sabine Wren. At my age I get confused a lot! I would still like to get her doll if she ever appears. My granddaughter loves them. I think the line is either getting axed by Hasbro due to poor results or the stores in Canada declined these all together, leaving Hasbro Canada to send to clearance stores like Winners the bulge of their stock that was meant to TRU and Walmart. So I think it's not likely we'll ever see Padmé and Ahsoka here in Canada. Same for Rey-Kylo Ren 2-pack, or that ANH Leia-R2 special pack. Anyway, we'll see. My eyes are opened and I'm ready to find these anywhere but at TRU and Walmart. These figures you mention look to be scarce in the USA as well. A quick check on eBay shows only one Kyle Ren/ Jakku Rey two pack at $93 and Ahsoka Tano from $59 to $106. No listings for Padme. Found basic Forces of Destiny dolls at several Winners: Ahsoka w/loth cat and Rey of Jakku - 7.99. The distribution of figures at the different WInners was 2 Ahsoka and a Rey, 2 Reys only and a single Ahoska. I assume some dolls had already been bought. The 2 Marshalls and a few other Winners I checked had no dolls although it may be early. Edit: Case assortment appears to be 2 Ahsokas and 2 Reys. Found Jakks deluxe Big-Figs BB-8 at a Winners - 29.99. Winners/Marshalls are getting in 6" BS #45 Kylo Ren - 7.99. It appears that this is the only figure they are getting in at this time. The Winners/Marshalls I visited had 2-4 Kylos but nothing else. They are also getting Force Link 1.0 TLJ wave 2 2-packs: Baze/Chirrut and Rose/BB-8/BB-9E plus repacks - 7.99. 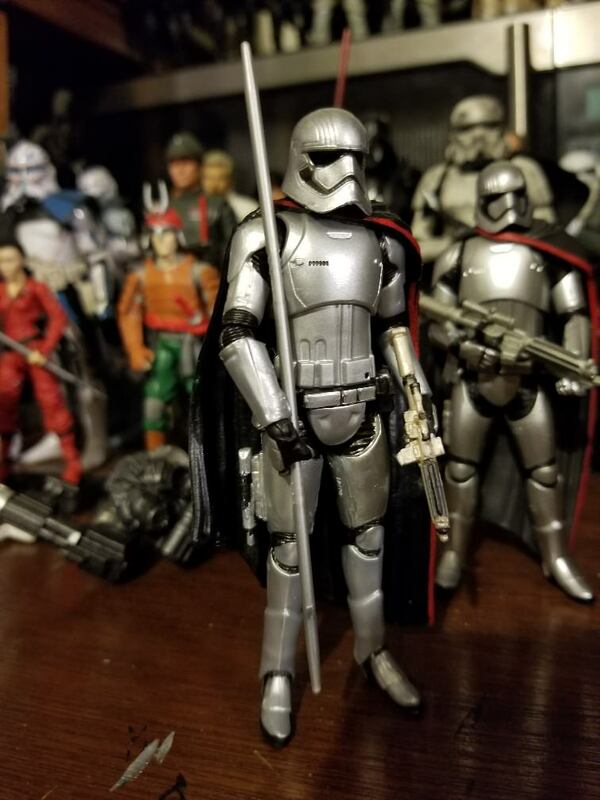 Winners has the Finn in Officer disguise/Phasma with quicksilver baton 2 packs now. $7.99. I picked one up. Yep. Took one set as well. At 8$ it was a no brainer. Planning to remove Finn's cap (it's a glued piece, easily done with hot water), put it on a DJ's head (will need to carve out his head cap), then put this head on Finn's FO officer body. I want a DJ in FO Officer disguise. Did 2 Winners closes to me, nothing. If someone can grab me one. Is it the 2-pack exclusive to Entertainmentearth ? If yes, I need one. Let me if someone can grab me one. I'll look again tomorrow. They had two. I only bought one so they still had one left. 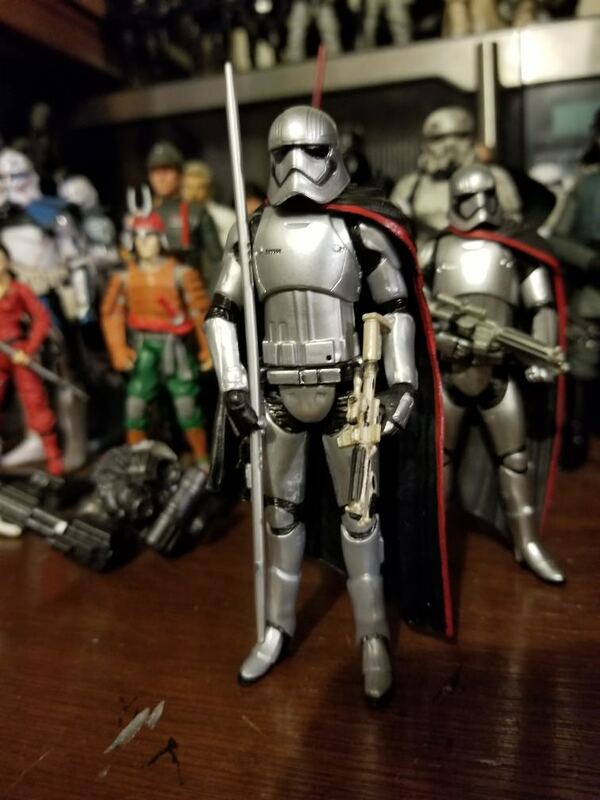 Don't care for the 5 POA Phasma so I gave the baton to my Walmart one. Went out right after work and only saw Rey/Praetorian, Chirrut/Baze and Rose/Droids at the one Winners i was able to get to, before close. also checked Marshalls but they just had the Chirrut/Baze. Tomorrow is a new day therefore there shall be a new hunt. Yeah, I went back and they only had Chirrut and Baze. Went to a third store tonight looks like they just had remnants. I have 1 more store in my city I'll go there in the morning.